Debt Settlement – Dont Believe the Hype! Every day I receive a daily Google alert in my e-mail inbox that features links to articles, press releases and blogs about some aspect of debt settlement. It’s one of the ways that I stay abreast of what is happening in my industry. It’s the kind of information that any financially-troubled consumer might find by searching on the internet for helpful resources using key words like debt settlement, debt problems, debt settlement firms, debt negotiation, or debt relief. However, I’ve been dismayed to see that more often than not, most of what I read in these alerts is not factual. In fact, most of the content appears to have been written by debt settlement firms, or their representatives, with the goal of getting unsuspecting consumers who are confused and scared about their financial situation to work with them. Common examples of misleading debt settlement blather. Press releases that supposedly are announcing news about a particular debt settlement firm or some aspect of settlement. In fact, the releases contain no news content of any sort and are being used by unethical firms to get consumers to click through to their web sites. At least one of the wire services transmitting these “press releases” appears to be little more than a vehicle for posting articles on the web and not a true wire service at all. Poorly written articles about settlement with titles that have been chosen to make it appear as though the articles actually provide valuable advice and information to consumers who need help managing their debts. In fact the information in these articles is marginally useful at best and sometimes totally misleading. You’ll find the real purpose of these articles in a closing paragraph where readers are encouraged to contact a debt relief network, which the articles claim is comprised of highly ethical settlement firms with proven track records for helping consumers. Don’t believe it! Half-written blog posts about some aspect of debt that are surrounded by lots of ads for debt settlement firms. I assume that the agenda of whoever writes these posts is less about completing the post and providing readers with truly useful advice and information and more about getting readers to click on one or more of the ads. For-profit debt settlement organizations that use names to make them sound like they are non-profits or that imply that they are affiliated with a federal government debt settlement program. The theory here is that consumers will be more apt to trust a non-profit or a firm that’s affiliated with the government. Fact: Debt settlement firms are businesses, not nonprofits, and there is no federal debt settlement program. Articles, blogs and press releases encouraging consumers to visit specific debt settlement forums before choosing a debt settlement firm. Supposedly, consumers who participate in these forums will have an opportunity to communicate directly with other consumers who are working happily with a debt settlement firm or who have already settled their debts with the help of a particular firm. Although there are legitimate forums where consumers can obtain truly useful information, some forums have been created by debt settlement firms or their representatives. And if you participate in one of them, the consumers you communicate will be nothing more than people who are being paid by the firms to share information with you, to gain your trust and to recommend the firms to you. Other forums work a little differently. For example, in some of them, someone will try to get you to provide him with your name and e-mail address and then that individual will sell your information to a debt settlement firm. Not long after, the firm will contact you offering to help you resolve your debt problem. Obviously you must be very, very careful when you search for debt settlement assistance online because there are a lot of firms out there who are willing to use underhanded and misleading tactics to gain your trust and who are all too ready to promise you the moon, take your money and give you little or nothing of real value in return. Therefore, before you share any information with anyone on a debt settlement forum, before you agree to work with any debt settlement company, or to pay the firm money, check them out thoroughly. In other words, when it comes to debt settlement the old adage caveat emptor, or buyer beware, definitely applies. Whether you are curious or serious about debt settlement, get started understanding what it is, how it works, and whether it can work for you, through the debt settlement section of our free online debt relief program. Can Settling your Debts make it Easier to Find a Good Job in Today’s Tough Job Market? In a recent blog post written by Diane Stafford with the Kansas City Star entitled: Bankruptcy filing thwarts re-employment, Stafford highlights a key reason why consumers who can qualify for a Chapter 7 liquidation of debt bankruptcy should research ways to avoid it, if at all possible. The concern here is your credit report when you are a job seeker. One of the primary benefits of filing for Chapter 7 bankruptcy is that your unsecured debt, like credit card debt, gets discharged or wiped out, which gives you the financial fresh start you need if you are strapped with too much debt. However, as Stafford points out, not only will your bankruptcy be part of the public record and noted in your credit report for 10 years, but in today’s job market having that information in your credit file can make it much more difficult to find a well-paying job. That’s because there is a lot more competition for good jobs and so many employers are using other criteria besides an applicant’s resume and references to help them decide who is the “best” person for the position they want to fill. In many instances, one of those criteria is whether an applicant has filed for bankruptcy. The theory is that if an applicant can’t manage her own money, then she probably has bad judgment and would not make a good employee. Of course, as Stafford points out, this attitude does not take into account why an applicant filed for bankruptcy. For example, the applicant may have an ex-spouse who is not paying her the child support she is legally entitled to or the applicant’s health insurer is refusing to pay many of the medical bills associated with his wife’s serious illness. Therefore, professionals who have been downsized or are concerned that they may lose their jobs should recognize how easy it is to hit the debt wall when they are out of work and should take aggressive steps to address their debt. Although filing for bankruptcy is an option to consider, they should also consider other alternatives, like debt negotiation. Debt negotiation has proven to be an effective option for credit relief and can prevent a bankruptcy from appearing on your credit report. Settling credit card debts to prevent bankruptcy while seeking a job. Debt negotiation involves contacting your creditors, such as the banks that issued you credit cards, to try to reach a compromise with them regarding how much money you’ll have to pay to pay off your accounts. Your goal during your negotiations is to get each of your creditors to agree to take less than the outstanding balance that you owe and for the amounts that that they agree to accept to be amounts you can afford. These negotiations are typically predicated on your having missed several consecutive payments on your accounts and on your ability to establish that a hardship — like a job loss — has made it impossible for you to pay your outstanding balances. Until recently, large creditors, especially banks that issue credit cards, have had long-standing policies regarding when they will offer a settlement to a consumer and when they will consider a settlement that a consumer offers to them. Now however, given the current state of our economy, the troubles within the banking sector, the financial industry’s new focus on risk aversion, and increases in account charge off percentages, many banks have not only become more willing to settle credit card debts, but they are also willing to settle for less money than they would have agreed to in the past. This is good news for debt stressed consumers. Financial optimism in the face money challenges. The plight of that individual sounds very similar to stories I hear all too often. After losing a job, or experiencing a cut in pay, consumers are optimistic that things will work out for them and so while they are looking for work, they use up their savings and draw down the money in their 401(k)s so they can pay their living expenses and their debts. However, once their money runs out and they are still jobless, many of these consumers end up in bankruptcy. Although I am not criticizing the optimism of these consumers — they need it to help them get through the tough times ahead — I am suggesting that many of them might have made better use of the money in their savings and retirement accounts by using it to settle with their creditors. That way they could have avoided bankruptcy and possibly made it easier to find new well-paying jobs. Although there always has been and always will be consumers who will benefit more from a Chapter 7 than from negotiating their debts, the fact is that many debt-stressed consumers who do file were actually excellent candidates for debt settlement. More than half of all of the people that have consulted with Consumer Recovery Network over the years, have indicated that credit card interest rate increases had made it harder for them to keep up with their monthly payments. Why are these increases happening? In many cases it’s because of something called the universal default, a provision that’s in most credit card agreements. The universal default clause gives banks the right to increase your credit card rates for virtually any reason. I refer to the practice as rate jacking. Whatever you call it, the practice is bad news for consumers. You can be rate jacked even if you were never late making a payment on the credit card with the increased rate!! Basically, the universal default clause gives banks free rein to increase the interest rate you must pay on your outstanding credit card balances for just about any reason. I have been rate jacked! Here’s how rate jacking works: After conducting a periodic review of your credit history, the creditor decides that you are too close to your credit limit on some of your credit accounts, notices that you were late making a payment on one of those accounts, or discovers that you recently opened one or more new accounts. As a result, it raises the rate on your current balance and on any new purchases you may make with your credit card. If your finances are already shaky, having that rate increased may be all it takes to push you over the edge, especially if your other card issuers follow suit once they see that you’ve already been rate jacked. If you are about to be rate jacked, the creditor will send you a notice telling you that your interest rate is going up. When you receive the notice, write the card issuer to clearly state that you do not agree to the change in terms and that you will not be using your card anymore. If you don’t and you use the card after the effective date of the rate increase, you’ll have implied to the card issuer that you agree to the new terms of credit. You should also call the customer service number on the back of the card to cancel the account. A couple months later, order copies of your credit reports to confirm that they show that the account was canceled and to make sure that each of the reports show that you did the canceling, not the card issuer. (Note: Although your credit score will take a hit when you cancel an account, the damage won’t be as bad as if the card issuer does the canceling.) If there are any automatic debits scheduled for the account you are going to close transfer them to a different account. 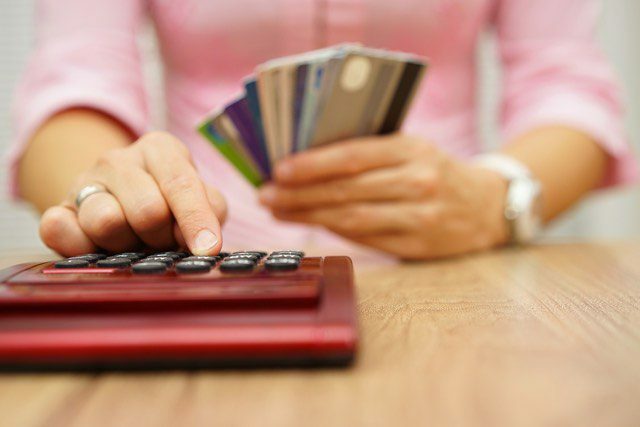 Options when you can no longer afford high interest credit card bills. In our current economy, we can expect creditors to become more risk averse. It makes sense that they would begin practicing restraint again. However, arbitrarily charging consumers additional interest on their credit card balances, especially considering that not very long ago banks were encouraging those very same consumers to use their credit cards for everything and making it easy for them to get cash advances from their accounts, is tantamount to theft. Furthermore, in many instances it does the very thing that banks want to avoid — causes consumers to default on their accounts! But for now, rate jacking is legal. However in February 2010, when the Credit Card Accountability Responsibility and Disclosure Act of 2009 goes into effect, rate jacking will, for seemingly arbitrary reasons, become illegal. Until then however we can expect to hear a lot more about it. Recently for example, Citibank announced that it had rate jacked 15 million of its account holders. 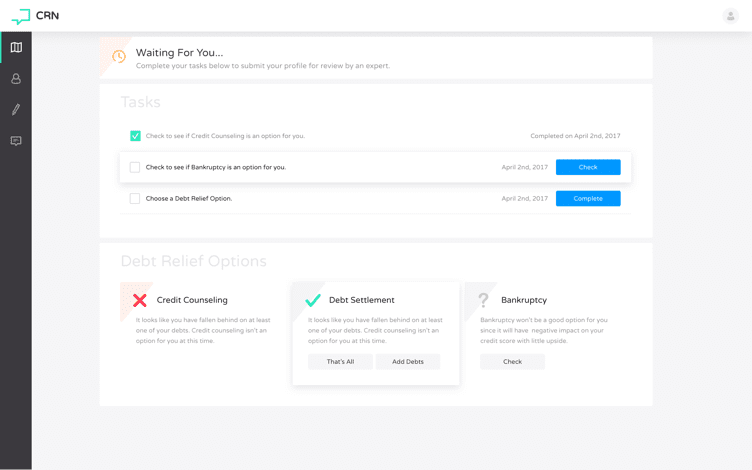 If you’ve been rate jacked and have hit the debt wall, or if you are simply struggling to keep up with your credit card debts, explore your options, including setting up a debt management plan with a reputable nonprofit credit counseling agency, settling your debts or filing for bankruptcy. For information on these options and help deciding which one is best for you, check out our newly published free online debt relief program.